Diabetic Retinopathy is the worldwide leading cause of blindness, and is the most common sight chronic complication in people with Diabetes who don’t control their blood glucose levels and Hemoglobin A1c adequately. Diabetic Retinopathy is a damage to the small blood vessels in the retina, when people with Diabetes don’t control their blood glucose adequately for several years. When these blood vessels are damaged, the body “manufactures” new blood vessels (neovascularization) to carry oxygen and nutrients to the retina. Unfortunately, these new blood vessels are very sensitive and fragile and can break easily, causing bleeding in the vitreous. Other complications that may result from a poorly controlled Diabetes are cataracts, macular edema, glaucoma and dry eye syndrome. People with Diabetes should get a complete eye exam at least once a year to check if everything is well, taking measures to preserve good eyesight. This test should be performed by an ophthalmologist and is very important, because when Retinopathy is detected early, it can be treated and, in most cases, further problems can be prevented to preserve eyesight. Visual acuity test: This test is done with an eye chart and can determine your ability to see details at various distances. 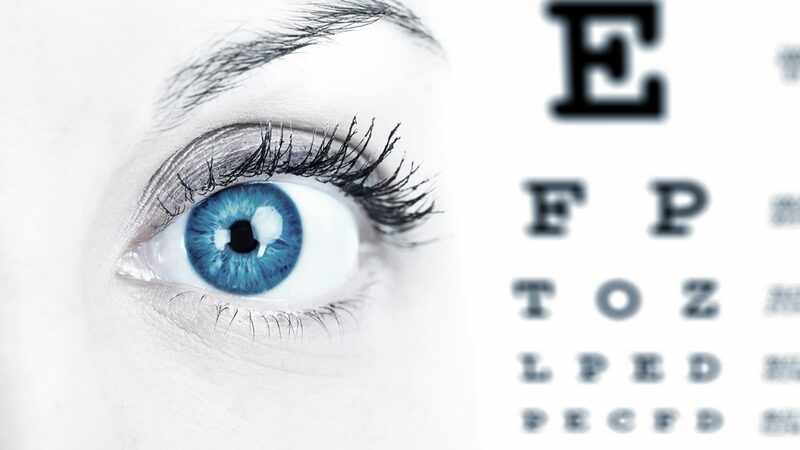 Normal visual acuity ranges from 20/50 to 20/20; if you have 20/40 that means you can see letters of the line that a person with perfect vision (20/20) could read at twice the distance that you do. Subnormal values range from 20/200 to 20/60 and affect or impede learning, job performance, adequate development and recreation. When one can’t see the largest letters on the board (20/400 and lower) vision is within the blindness range. Dilated fundus examination: With a special magnifying lens your eye doctor will be able to see the back of your eye, especially the retina and optic nerve, to detect any irregularities. Tonometry: Also called intraocular pressure, is a test that detects glaucoma or checks how eye pressure is. You’ll get some eye drops to numb your eyes and then with a slit lamp they’ll place a tool used for measuring eye pressure. 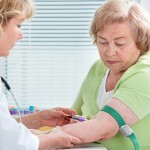 Normal values, lie between 10 and 21 millimeters of mercury (mmHg). Glaucoma is a disease that include increased pressure in the eye. Other causes for which eye pressure raise are: eye inflammation, ocular or cranial trauma or hyphema, the presence of blood in the anterior chamber of the eye, which can be caused by advanced Diabetes, trauma to the eye, blood vessels abnormality, severe iris inflammation or eye cancer. Ophthalmoscopy and slit lamp examination: With these tests ophthalmologist examine the back of the eye or fundus and other structures, detect cataracts (clouding of the lens), changes in the retina, and other problems. The slit lamp examination can detect various eye diseases such as: dry eye syndrome, uveitis, loss of acute vision due to macular degeneration, corneal injury, retinitis pigmentosa, retinal vessels obstruction (retinopathy), retinal detachment and cataracts, among others. Gonioscopy: This test is performed to determine if the eye’s drainage angle (the area where fluid drains) is open or closed. Ophthalmologists perform this test if they thinks you may have glaucoma or any eye disease that may cause blindness when damaging the optic nerve. Fluorescein angiography: This test can identify any leaking in the retina blood vessels and determine a treatment for macular edema. In this test, they’ll inject a special liquid in your arm and take pictures when the dye is passing through the retina’s blood vessels. 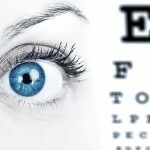 The ophthalmologist will recommend this test if you have symptoms such as blurred and distorted vision, flashing lights or flashes and floaters, among others. Fundus photography: This test produces accurate images of the back of the eye and allow to track the changes that occur in the eye over time in people who have Diabetic retinopathy, especially those under treatment for this condition. The ophthalmologist will be able to compare photographs taken at different times to check the diseases’ progression and determine whether the treatment is working properly. Given that Diabetic Retinopathy is the leading chronic eye complication associated with poor Diabetes control, your ophthalmologist will run several of these tests periodically to detect any changes in the blood vessels, leaky blood vessels (pale and fatty retinal deposits), macular edema (swelling of the retina center) and damaged nerve tissue, among others. Because early Retinopathy detection is vital to prevent it from progressing into more severe stages (Proliferative Diabetic Retinopathy) in which vision can be seriously compromised, it’s extremely important to run complete eye exams as frequently as your doctor or ophthalmologist may instruct. 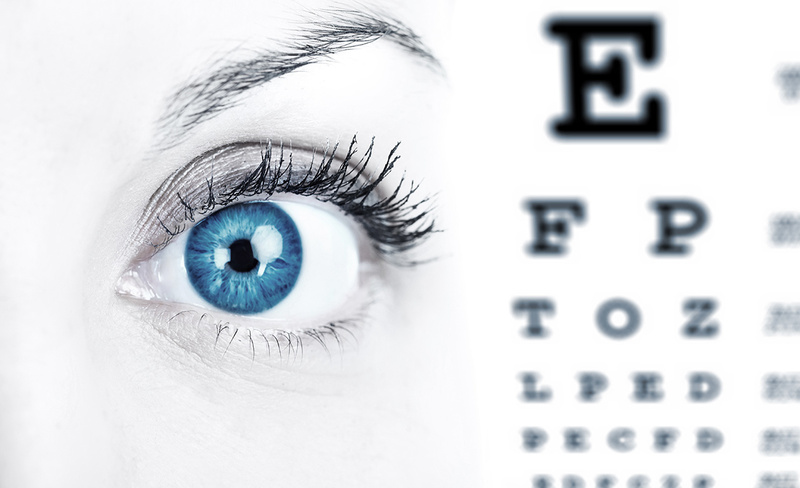 When do you need a complete eye exam? Adults with Type 1 Diabetes need a complete checkup five years after having been diagnosed with Diabetes, and then once every year. 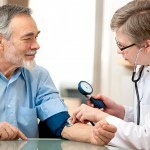 Adults with Type 2 Diabetes should get a full examination shortly after being diagnosed with Diabetes. Statistically, one in every five people with type 2 Diabetes will already have a kind of retinal damage at the moment of being diagnosed. Thus, your ophthalmologist will tell you how regularly you’ll need to get checkups, depending on the results of your initial evaluation, which can be once every two years or even more than once a year. Pregnant women should get complete eye exams on the first quarter and after birth. On Diabetes Up to Date, we are committed to keep you informed about Diabetes and its chronic complications, so you can acquire the knowledge you need to prevent them to enjoy a healthy, productive and happy life.